� Executive 187D was the third high seller at the 2017 Werning Bull Sale, selling to Jess Range, IL. He's a full brother to E.O., Executive Order 8543B. 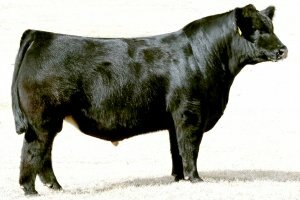 Executive 187D's flushmate sisters sold for $48K, $35K & $33K. This proven pedigree will take you to the top!